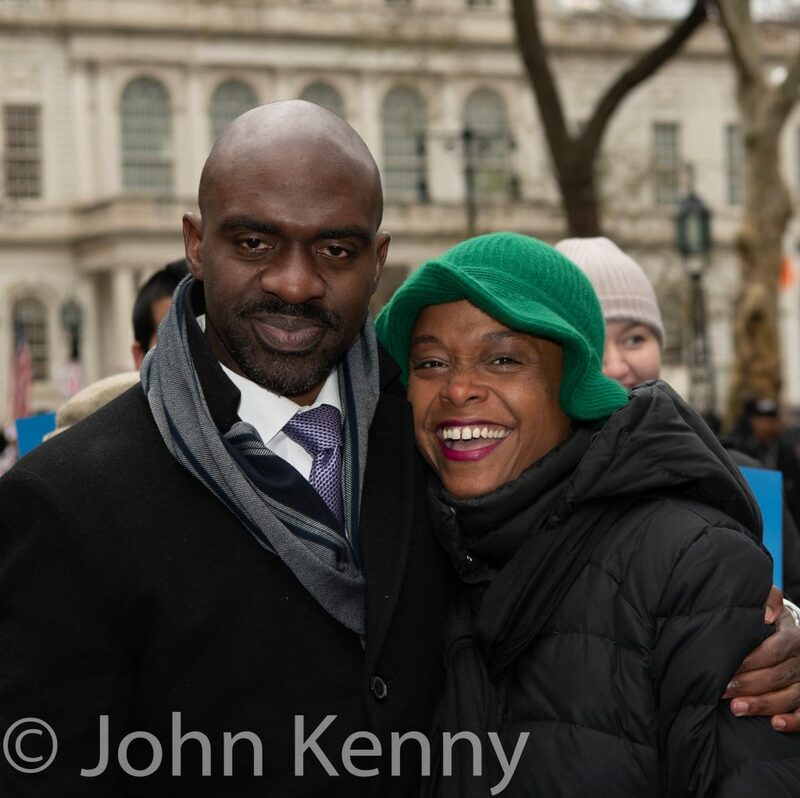 Describing himself as “a brother from the Bronx” Blake cited his father, a hospital janitor and SEIU1199 member, and mother, a Jamaican immigrant, as formative influences and inspiring his “jobs and justice” theme. 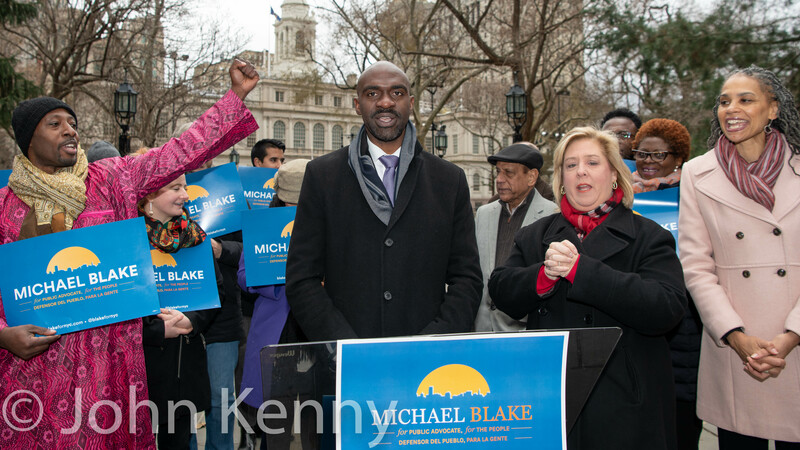 Declaring that “we have to unite, we have to rise as a city” Blake mentioned obtaining a permanent seat on the MTA board for the public advocate, increasing business opportunities for minority and women owned businesses and “closing Rikers responsibly ” as items he’ll focus on. Asked to assess incumbent Tish James’ tenure as public advocate Blake described her as “a phenomenal public advocate,” citing her efforts on pay equity and rooting out “bad landlords.” Asked what he would change the most from James’ tenure Blake offered that he would increase efforts on increasing minority and women owned businesses access to capital and contracts and tracking and increasing jobs under such contracts going to people of color and women. Blake announced that his campaign co-chairs include Akeem Browder, Assembly Members Jeff Aubry and Tremaine Wright, housing activist Aaron Carr and author Nathalie Molina Nino. Blake is among the roughly 20 professed candidates for the expected special election for public advocate. Current public advocate Letitia James is expected to resign on or before December 31st so that she can take office as the New York State Attorney General on January 1st, with a special election to fill the vacancy in mid-February.